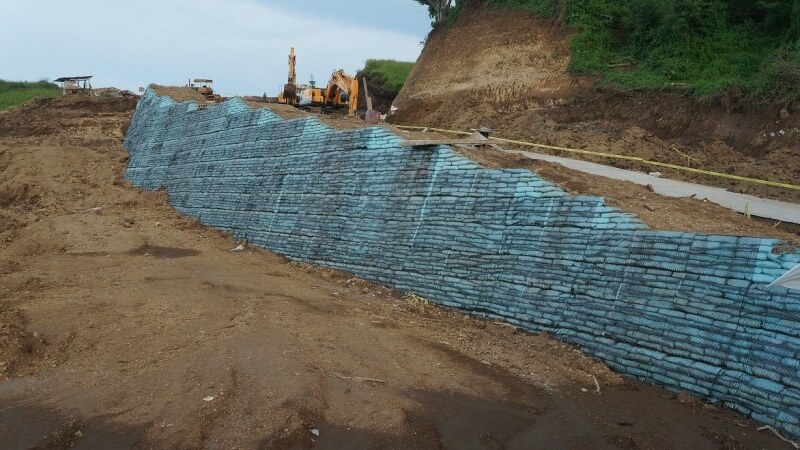 Typically structures such as retaining walls are considered to have a 60 year design life. 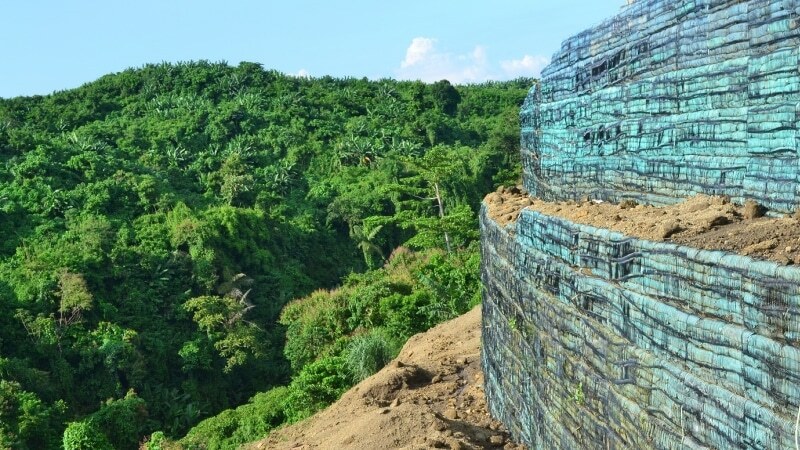 However, using green walls can assure a longer design life because it uses geogrid which have been independently assessed and certified for use in structures with a design life of up to 120 years. 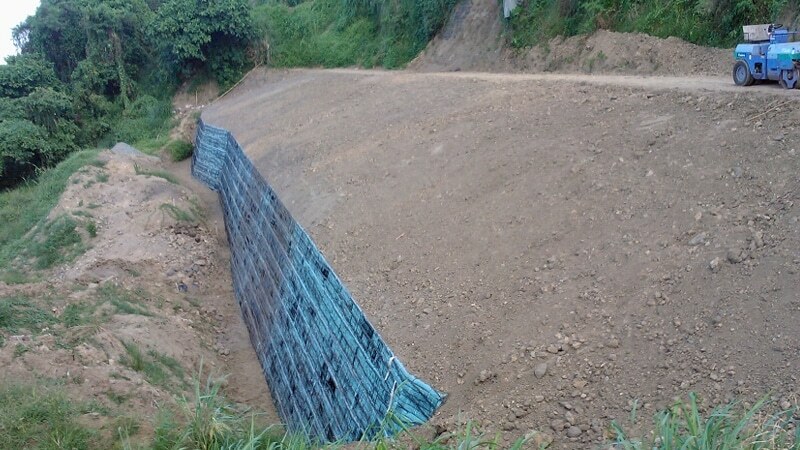 These geogrids provide core stability for the walls. 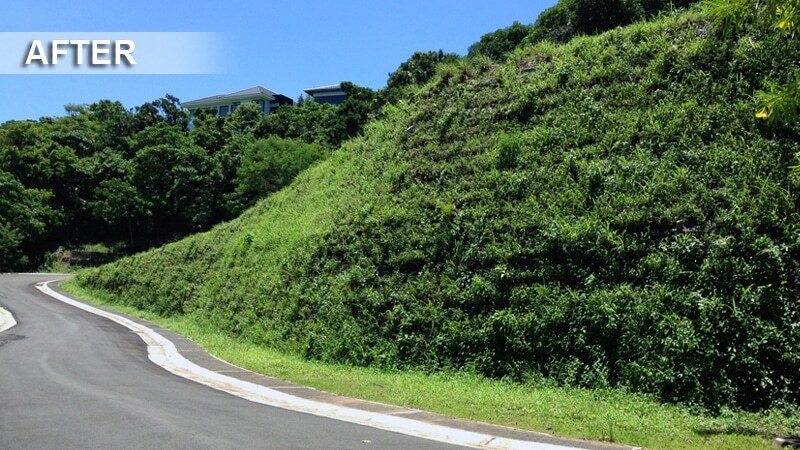 Green walls also allow the growth of vegetation and root systems which can provide long-term stability to the slope face. 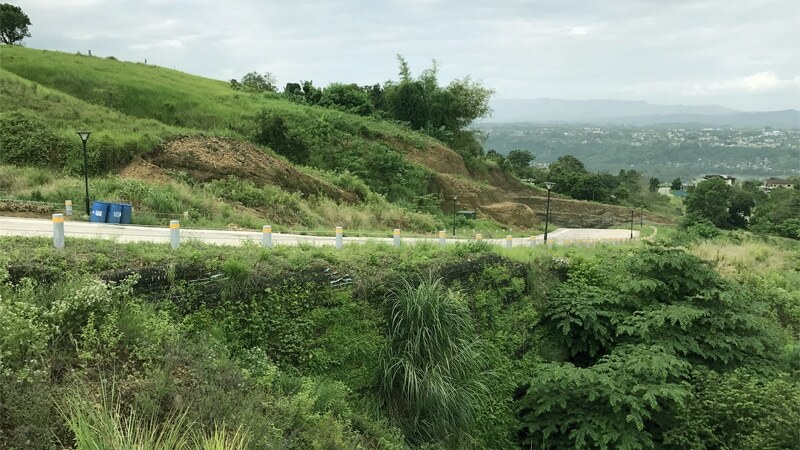 Further advantages of the system can include shorter construction times, an attractive appearance and all the environmental and sustainability benefits of using site-won or reclaimed fill materials where appropriate. 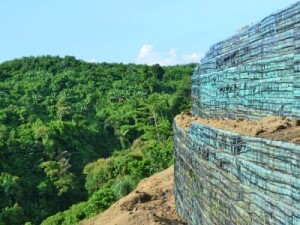 Wraparound Wall System offers an extremely cost-effective option for a vegetated wall facing. 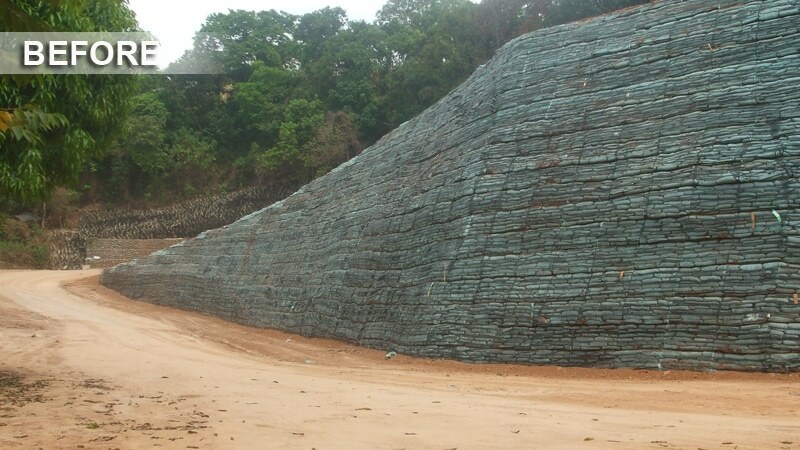 The facing element is formed by extending the geogrid length, wrapping it around the face and subsequently anchoring it back into the fill. 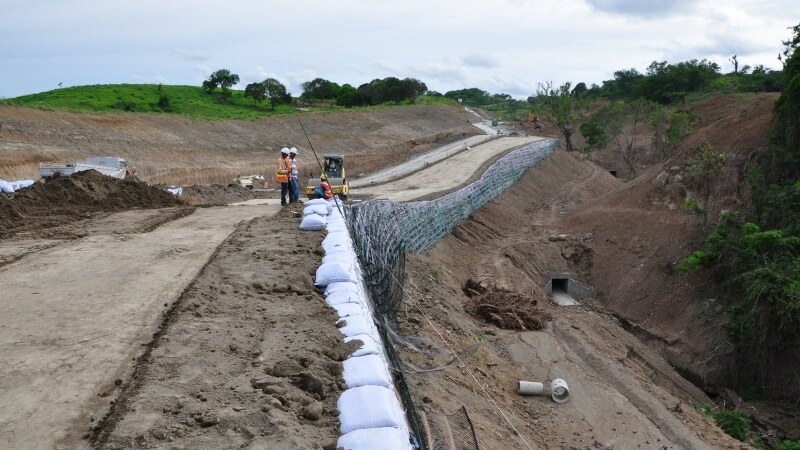 An internal bagwork support controls alignment and provide restraint for good fill compaction. 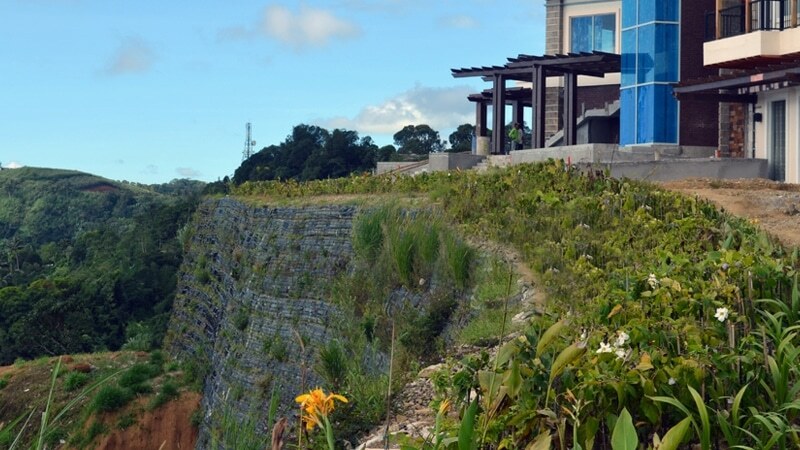 This system is ideal for designers who require the finished wall to blend in the surrounding greenery. 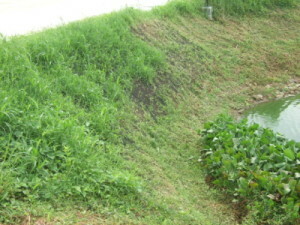 Natural Green system has proven performance and advantages in building of slopes of up to 45 degrees. 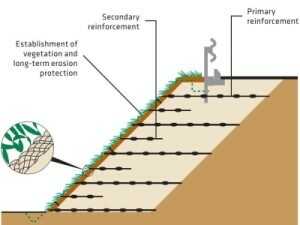 Long-term stability can be simply achieved through the use of horizontal layers of geogrid placed within the soil mass. 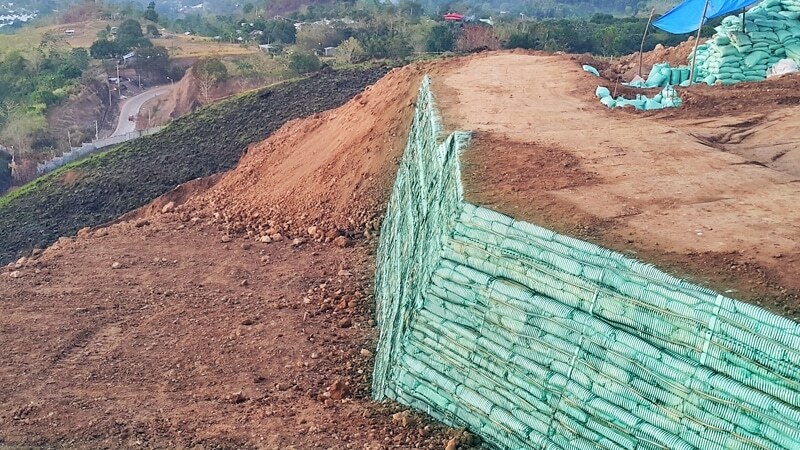 The surface matting can ensure that the vegetation and root systems are given the optimum amount of support and moisture retention necessary for productive and established growth on the slope surface. 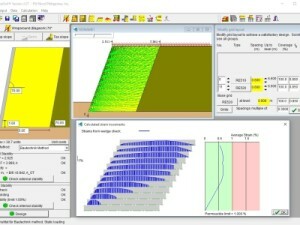 Software used in designing green walls with reinforcements offers clients accurate, efficient and innovative options in design from planning up to construction. 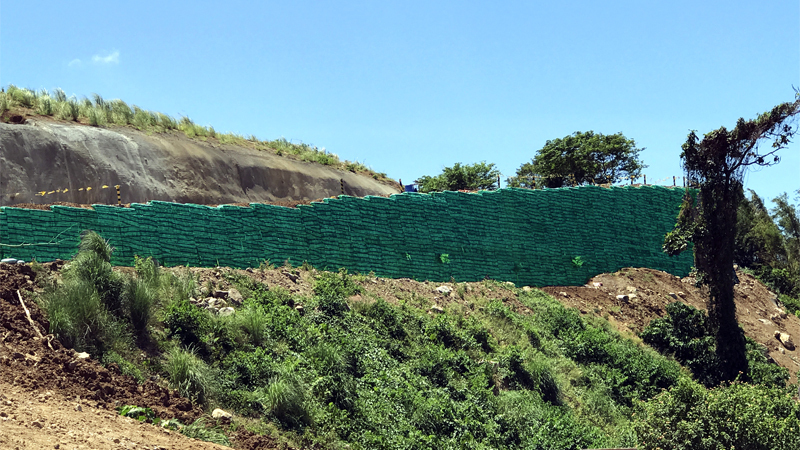 Before designing, data such as the existing ground profile and site development are needed in making the profile of the green wall. 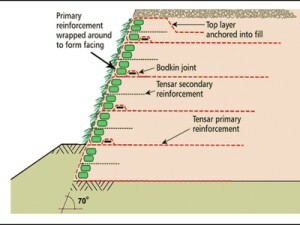 LRFD (AASHTO 2010) 2-Part Wedge, Bautechnik Method and the HA68/94 2-Part Wedge Slope Design are the design techniques used in designing green walls. 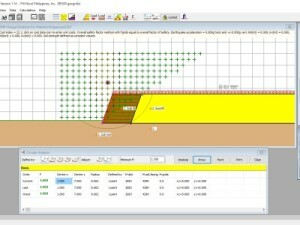 Soil properties, earthquake accelerations, water pressure and surcharges are the input data needed in the software. After a cross section has been established, its external, internal and global stability are checked and adjusted until its design is satisfactory.